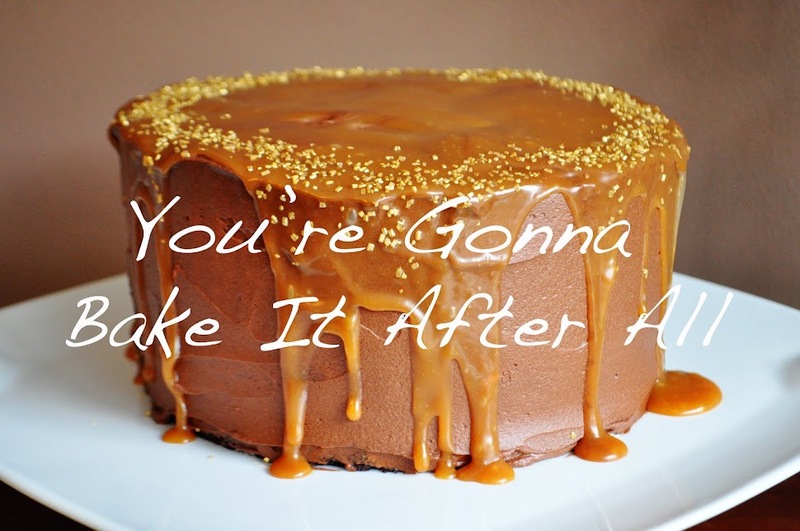 This is an oooold recipe - meaning that I made it a long time ago. In fact, these photos were taken in my apartment kitchen in Chicago . . . in December 2009! By the time I loaded them on my computer, pumpkin season was pretty much over. I planned to post this recipe last fall but never did. So here we are. 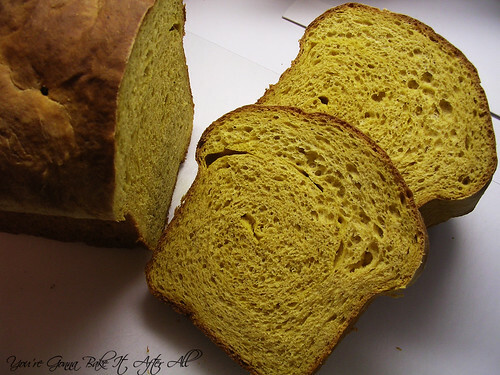 This is a really good bread recipe - just a hint of sweetness and a mellow pumpkin flavor. It's great for the leftover turkey sandwiches that we all love to enjoy throughout the holidays. I plan to make this again this year and follow Annie's example of creating a Thanksgiving leftover panini - yum! 1. In the bowl of an electric mixer fitted with the paddle attachment, combine the warm water and yeast. Add in the milk, eggs, pumpkin, oil, brown sugar, salt, and spices. Mix briefly to combine. 2. Add 4 cups of the bread flour to the bowl, and mix until a sticky dough has formed. Switch to the dough hook. With the mixer on low speed, gradually add the remaining flour until you have a dough that is smooth and elastic, and not sticky. 3. Transfer the dough to a well-oiled bowl, turning once to coat the dough. Cover the bowl with a damp kitchen towel and let the dough rise until doubled in size, about 1 hour. 4. Turn the dough out onto a lightly floured work surface. Divide in half. Press each pieces into a rectangle about 1 inch thick and no longer than 9 inches long. With the long side of the dough facing you, roll the dough firmly into a cylinder, pressing down to make sure the dough sticks to itself. 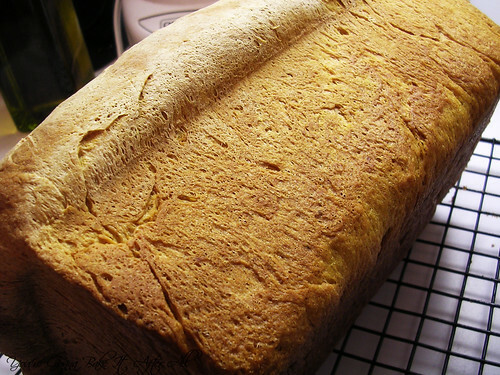 Turn the loaf seam-side up and pinch the seam closed. Place the loaves in two well-oiled 9 x 5-inch loaf pans and press down gently so the dough touches all four sides of the pan. Cover with a towel and let rise until almost doubled, about 45 minutes. 5. Preheat the oven to 375F. 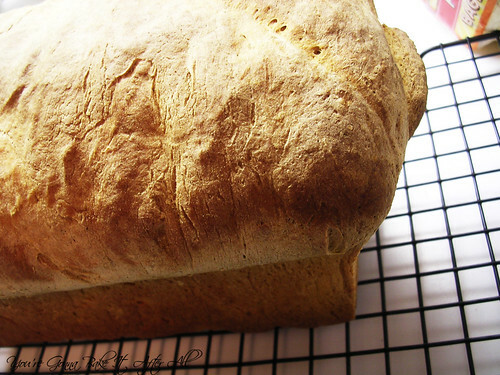 Bake the loaves for about 30 minutes, or until an instant-read thermometer inserted into the loaf reads 190F. Transfer to a wire rack and let cool. I love this bread! I made it a few months ago and could not stop eating it!